Last Sunday my best friend Ashtyn came over for some girl talk and Game of Thrones. During the girl talk part of the evening she told me about this amazing wall she found on Pinterest that just so happens to be in Houston. 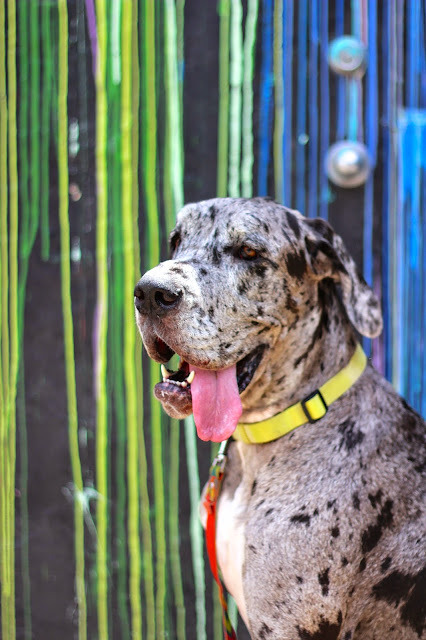 She said she really wanted to take her Great Dane, Sullie, to the wall and snap some pictures. 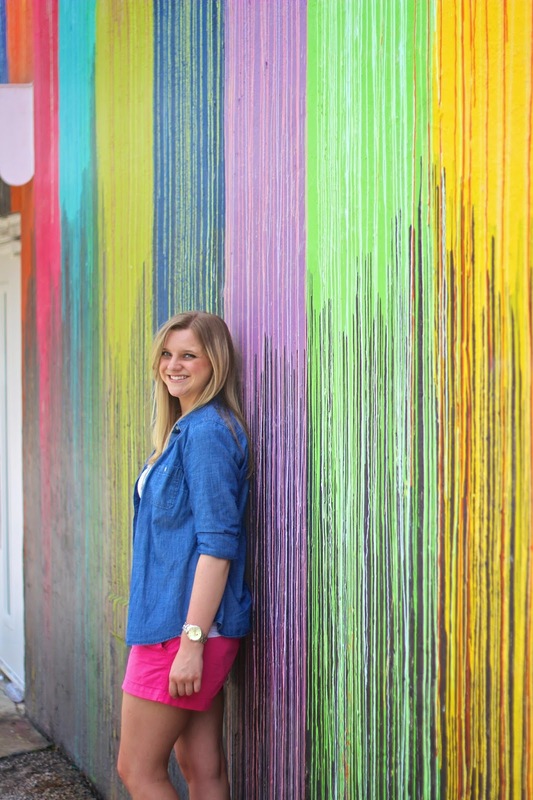 She showed me a picture of the wall (see below) and I immediately offered to be her photographer. I mean how cool is this! 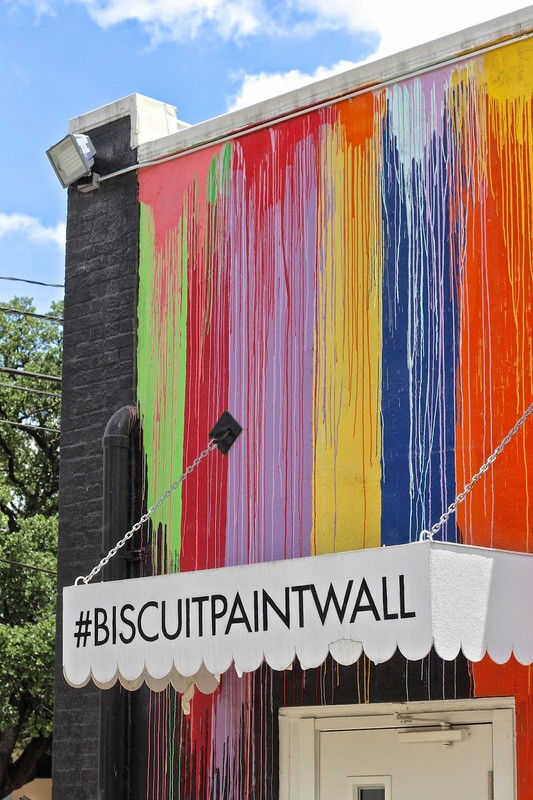 This my friends, is known as the #biscuitpaintwall and is connected to an adorable little shop called Biscuit Home in the Montrose area of Houston. 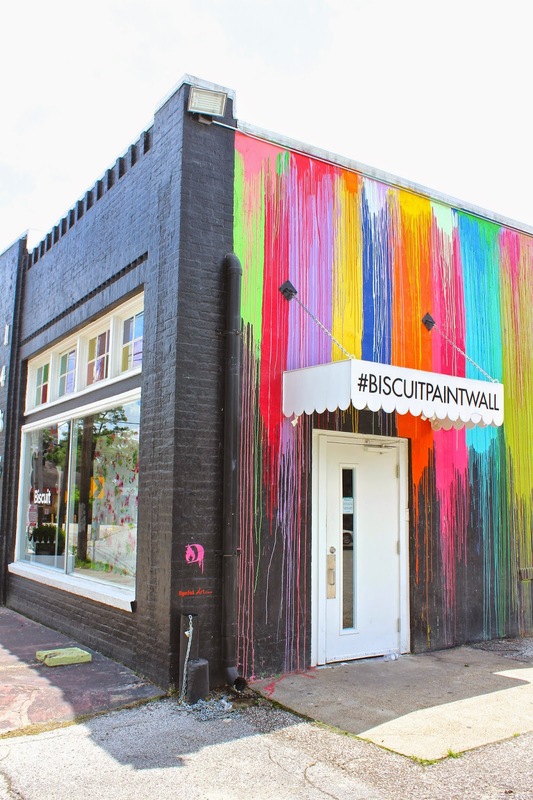 The wall and shop kinda jump out at you when are driving down Westheimer Rd. And is tucked into a funky and very creative little part of the city. Since we had a holiday Monday Ashtyn picked me up and we made our way to the wall around 11:00am. 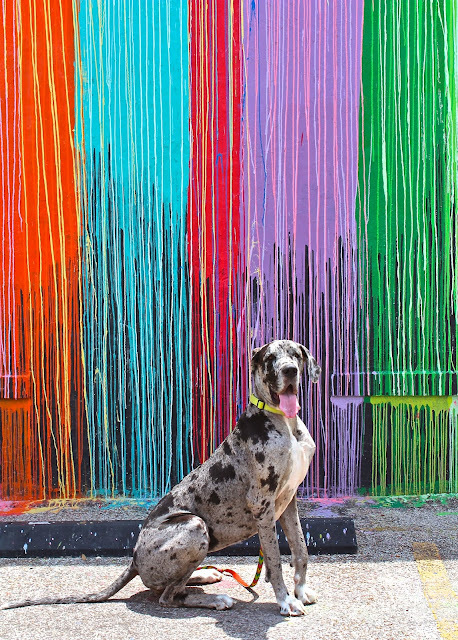 Sadly the shop itself was closed due to the holiday but we came at just the right time to have the wall completely to ourselves.........for a good 20 minutes. Right as we were leaving another car pulled up. The wall was painted by French artist, Sebastien Boileau in May of 2014 and adds just the right amount the fun and life to the building itself. I mean who wouldn't want to pose for a picture in front of all these colors?! I really wish the store had been open for us to go in and browse around but I did visit their website and can report that they have some really cute and eclectic home decor items, office accessories, and apothecary items (most of which are on the pricey side). You can visit their website by clicking here to see what I'm taking about! Also by clicking here you can read a little bit more about the history of the shop and the wall itself. 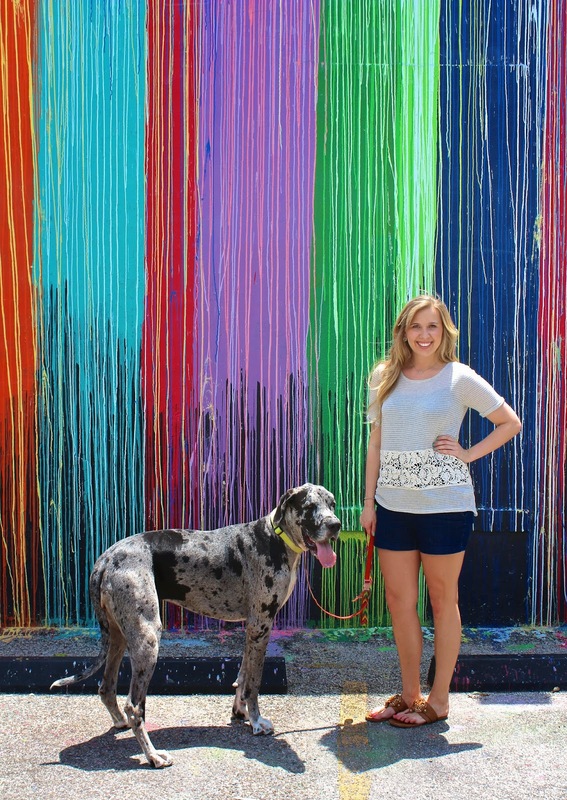 This entire outfit is brought to you by Old Navy. From the white tank, to the chambray shirt, pink shorts, and the grey shoes I've mentioned several times I'm completely obsessed with. Disclaimer: All the pictures are taken by me!